Easter isn’t something we really celebrate which is why I enjoyed my Easter so much at the home of those who do. The only part of Easter my family take part in is the chocolate side of things and a couple of extra days off, which isn’t proper Easter. And this year we’re not even doing that as my mum and my daughter have stipulated a no chocolate rule, so I was looking at some alternative presents. 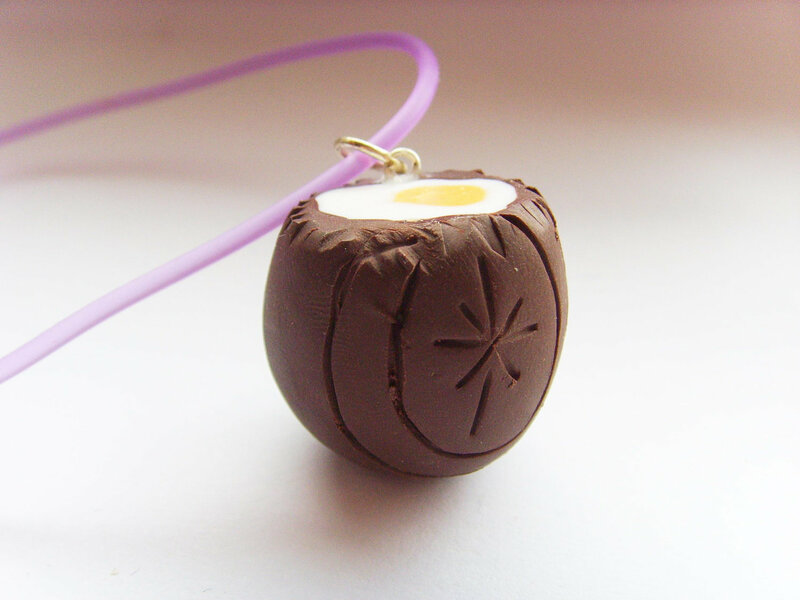 I had to look twice when I saw this chocolate crème egg necklace. 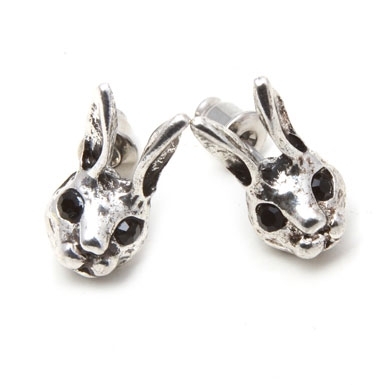 You may have random kids trying to lick it though, I warn you… This is £7 by Blue Cherry Jewellery who also do very realistic nibbled chocolate mini egg earrings. 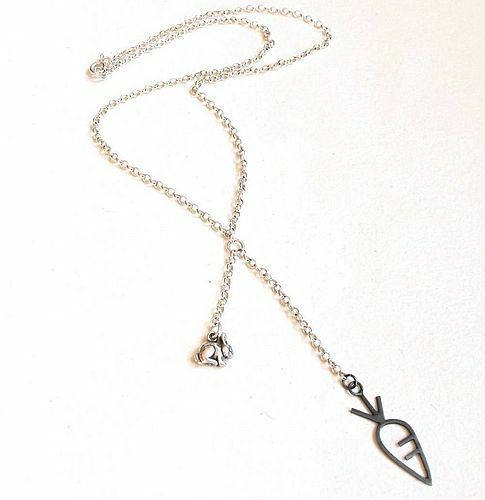 Will the sterling silver hungry bunny on this necklace ever reach the carrot I wonder? A bit more expensive at £59 but a unique design. 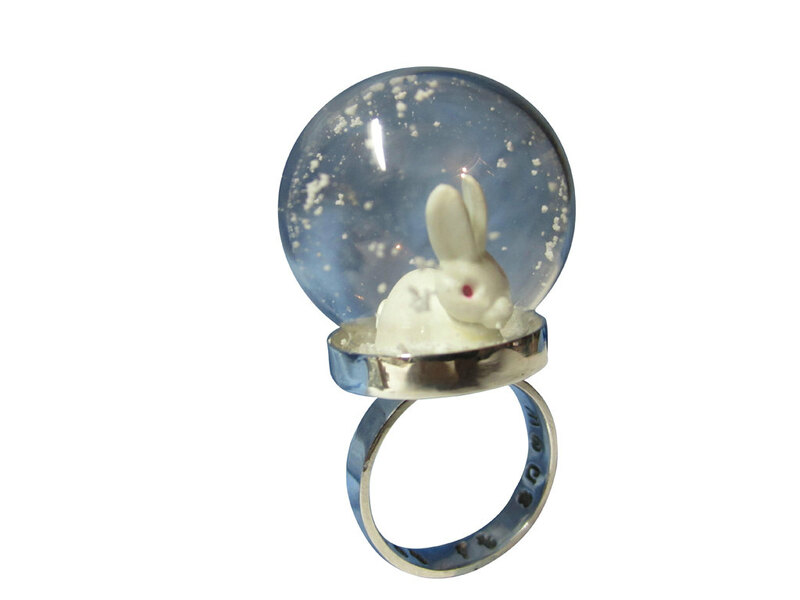 Some of us in the UK will be doing Easter egg hunts in the snow this year and this sterling silver snow globe ring captures this perfectly. 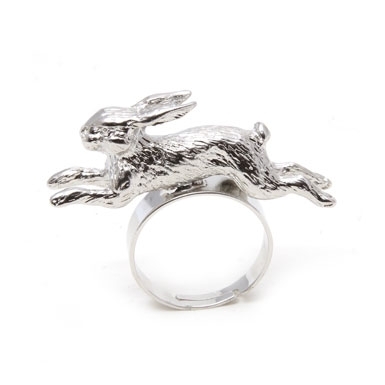 It’s also available with a brown bunny or deer inside at £75. Or more spring-like with a patch of grass and no snow at £73. What do you give at Easter in place of chocolate? This morning I’ll bet there were more than a few people relieved that January is out of the way. It doesn’t usually, but this year January got to me. But it is February today and I have high hopes for this month. So high that I may need some help from some hopeful doves. 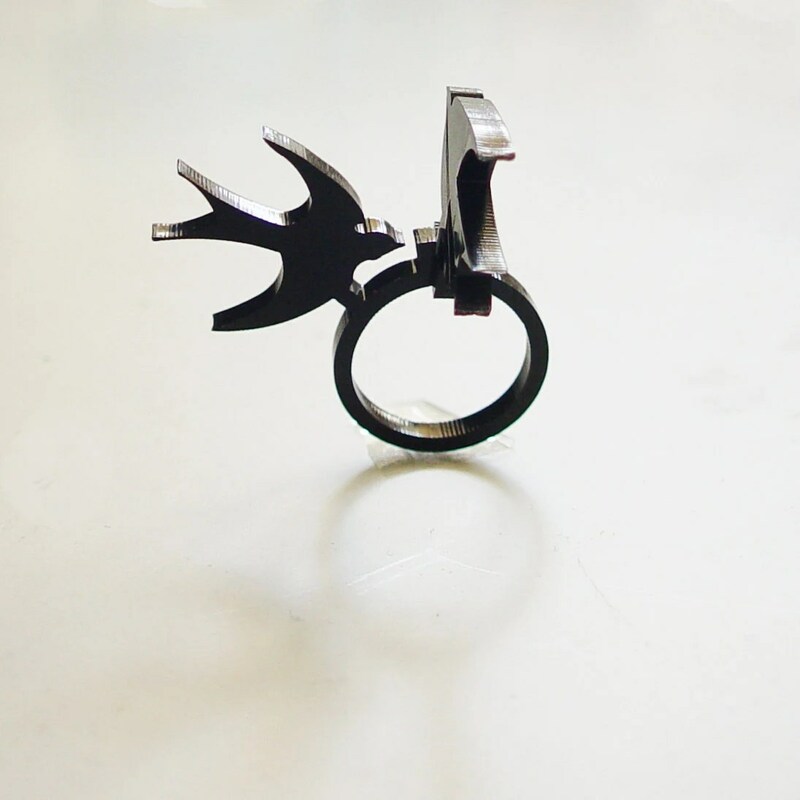 A dove necklace but not like any other, the Paloma: Dove Hand Shadow Puppet Necklace is really different and will have you trying to remember shadow puppet shapes from childhood memories. This sweet shadow puppet website might jog your memory (I particularly like Grandpapa and Boy – I thought it was only animals that could be made! Anyway I digress…). This necklace in either finish is £50 from Bouf. I bet the black doves (not ravens!) 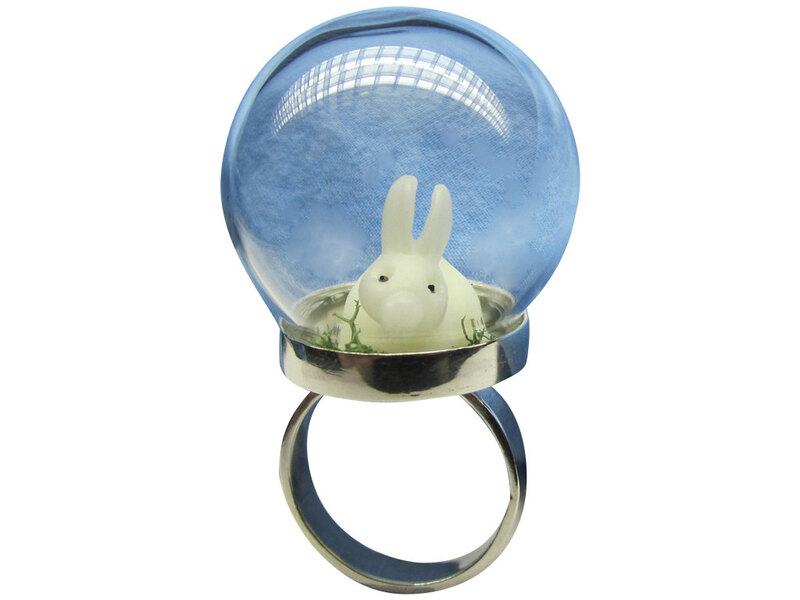 on this acrylic ring by The Mesh would cast a good shadow too. Gorgeous and even including shipping costs from Portugal you will be left with change from a tenner. 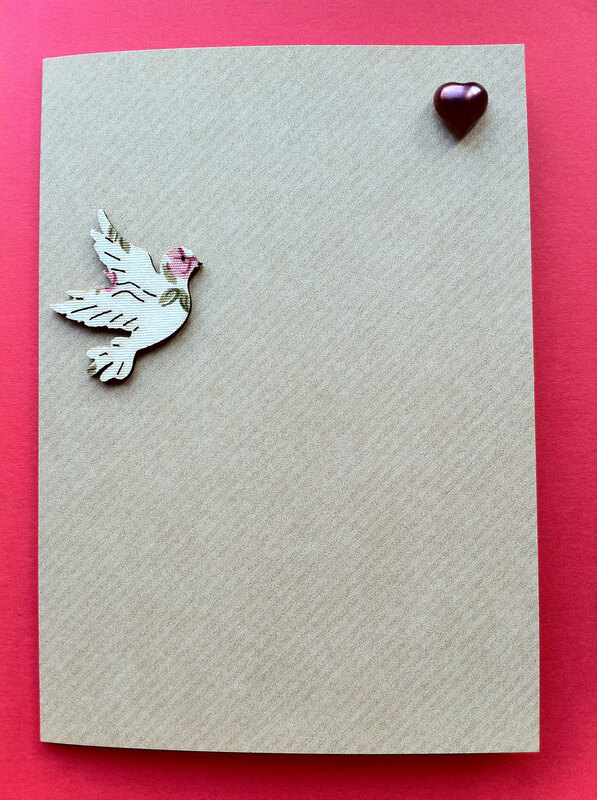 The Dinky Dove is a new greeting card seller on Etsy, she makes cards from her nest in Surrey. The cards are deliciously simple in their designs, I love this ‘Dove Flying to Heart’ card. All the cards are £2 plus postage. I wonder if The Dinky Dove’s nest looks like this ‘Ménage A Trois’ Boutique Hotel for Birds by Doveshed? You can choose your choice of Farrow and Ball paint and with the optional copper tropical love birds and monogrammed lead heart this could be a beautiful wedding or anniversary gift. This three-bedroom version is £109 and the six-bedroom ‘Le Petit Chateau’ is £129. Our cats would get very fat very quickly if we put this in our garden so, unluckily for our cats, I may instead opt for the wine rack or cupboard that Doveshed do in similar designs. 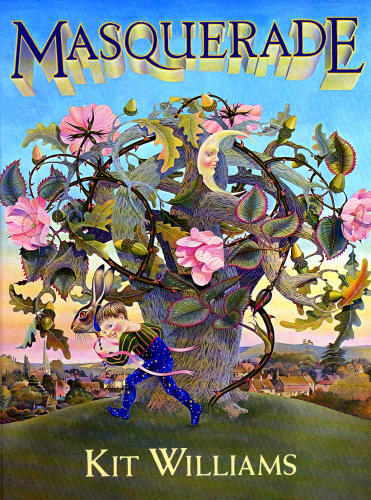 Here’s hoping to a fantastic February! 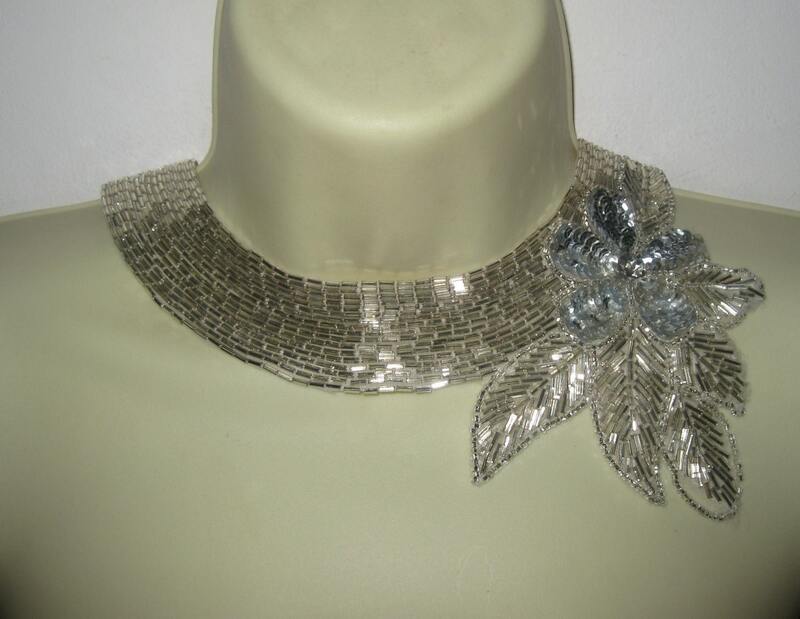 Art Deco is probably my favourite design era, our wedding had a very loose (dare I say it?) theme and since then I’ve been hankering after Art Deco in other ways. This necklace/collar from Etsy shop Amorous Cat’s Attic was on my Christmas list; I thought it would Art Deco-up a few plain tops. 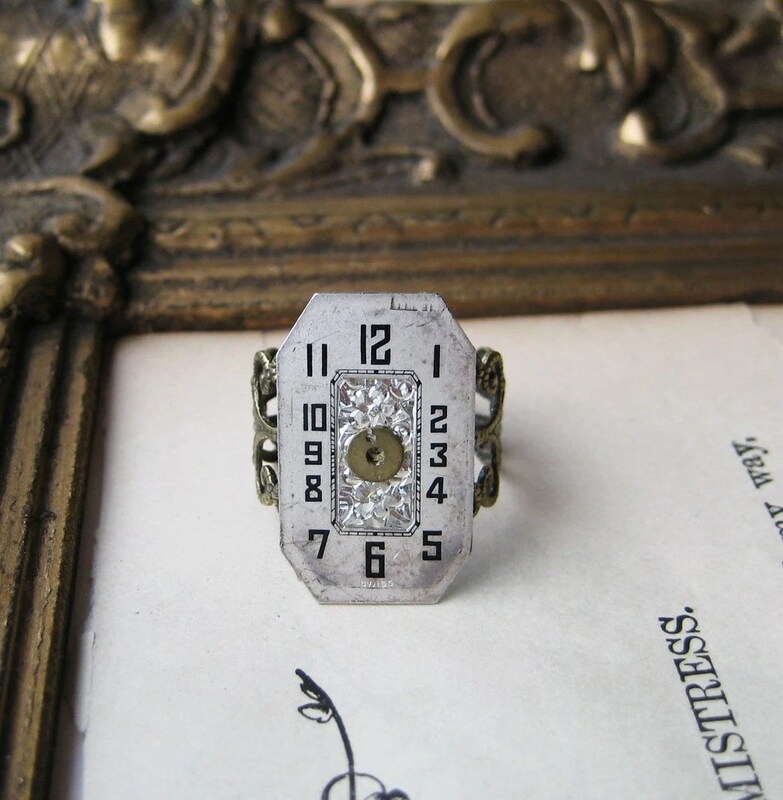 Or this wonderful ring made from Art Deco watch parts from Noble Studios Ltd? These Art Deco style printable playing card designs from Memories Emporium are fabulous, I’m not sure what I would use them for but maybe the artier among you can think of something? 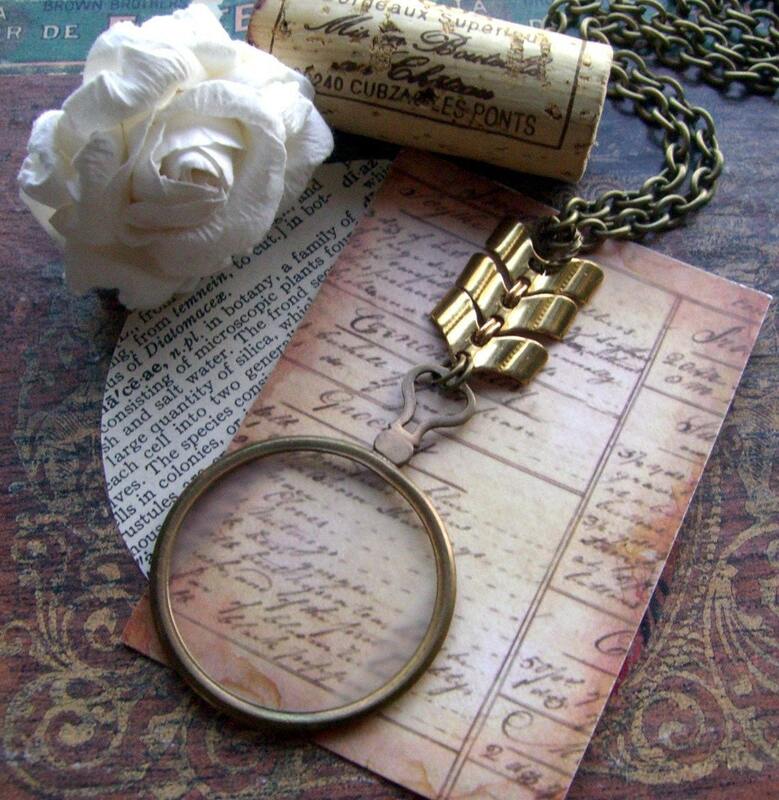 This antique monocle necklace started life in the late 1800s as an optical lens but Renee Loughlin Designs has given it an Art Deco twist with chevrons. Not sure my deepened frown lines would be worth it after an evening clasping this to my eye so maybe best for decoration. Delivery is very good value from the US. 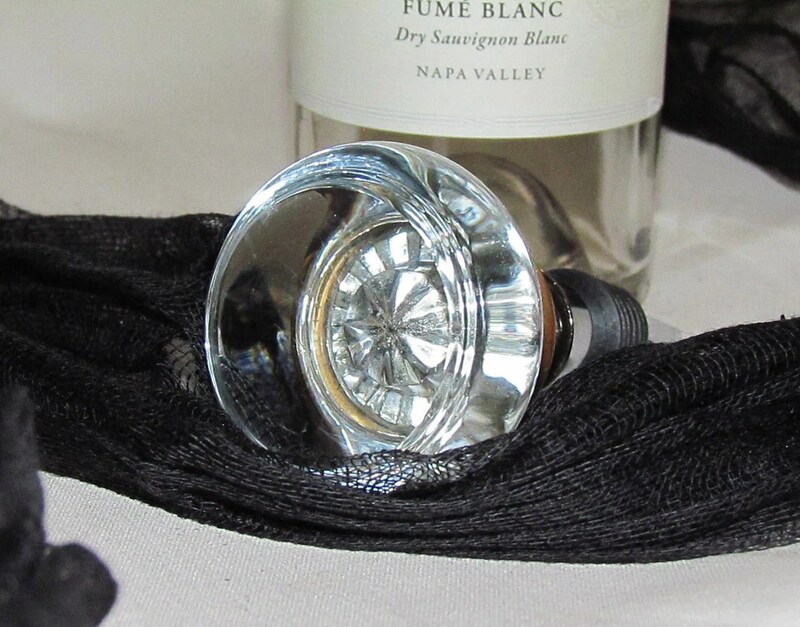 I adore this Art Deco door knob that Kim Ladd has turned into a wine bottle stopper. Always forgetting the recipes of those cocktail classics? Ugly cushion covers? 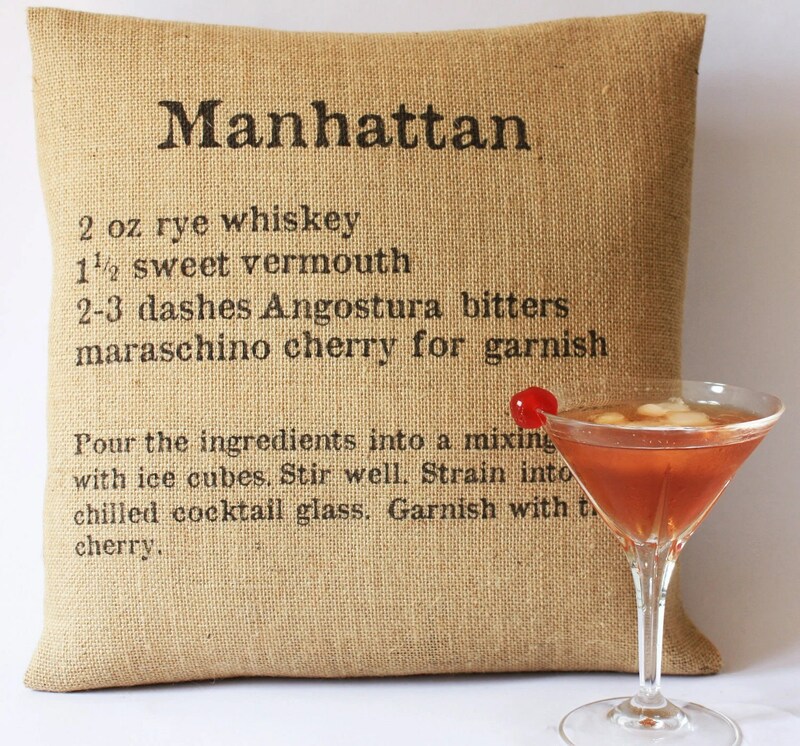 Solve both problems simultaneously with these Classic Cocktails Pillow Covers. Choose from Margarita, Manhattan, Gin Sling, Whiskey Sour or Daiquiri or all five.